"Jasprit Bumrah shares top billing and although the pacer is a superb death bowler, his record is inferior to Kuldeep's"
The top Australia bowler market is an interesting puzzle to solve. 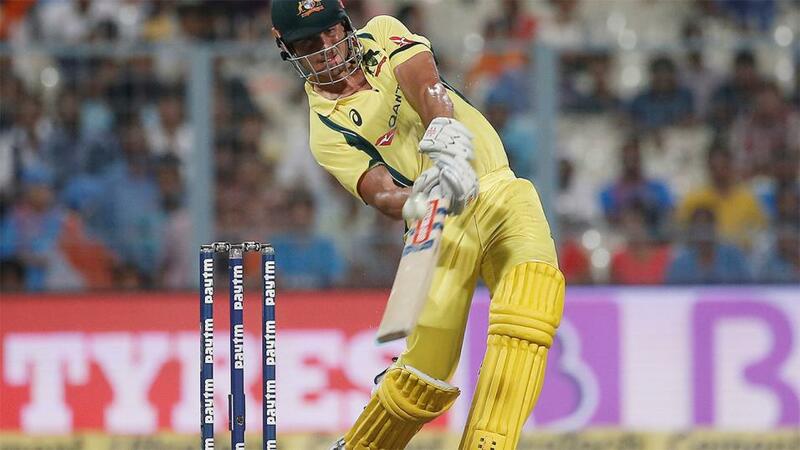 Two of their three top wicket-takers - Mitchell Starc and Josh Hazlewood - in the last two years have not travelled while the No 1, Marcus Stoinis, has two wins on the market in 19 innings. Starc and Hazlewood are both injured, robbing Australia of 33 wickets. But their pace stocks are remarkably strong and in Pat Cummins, Jhye Richardson, Kane Richardson, Nathan Coulter-Nile and Jason Behrendorff they have an embarrassment of riches. AJ Tye, a replacement for Starc, is not too shabby, either. That's enough for two international bowling attacks. Obviously they are not all going to play and the word from the camp (as discussed in the main preview) is that Cummins, Behrendorff and Jhye Richardson will get the nod with Adam Zampa and Glenn Maxwell the spin options with Stoinis taking the pace off. This is important because Kane Richardson is joint favourites at 3s with Cummins. It is a shame Richardson might miss out. His strike rate of 25 in the last two years is the best of any Aussie, even Starc (30). He has played only six games, though, and that's important to remember in contrast to Cummins' rate of 54 in 14. Cummins, interestingly, has only two wins in that period which would suggest he is not value. Instead Jhye Richardson may be the man to follow. In his six games he has an extraordinary hit rate - two wins and three shared honours. It's also a shame Coulter-Nile is unlikely to play. On Australia's last visit he topped the wicket charts with ten at a strike rate of 29. The 7/2 is tasty, therefore. If Australia line up as expected then Richardson would be our pick with him coming down to 3s. India are 10/11 to hit more fours than Australia, who are 6/5. We suspect that the definition of a good ODI team is one which outscores its opponent in this way, far more than the more bovine six-striking. On averages in the last two years it's a close-run thing. India average 19.8 per game over 12 months and 22.8 over two years. By the same parameters Australia average 20.7 and 18.2. However, when the sides met in 2017 in India, the hosts took the fours match-bet series by 4-1. Kuldeep Yadav has nine wins from 25 in the last two years on the top India bowler market. He is 11/4 joint-favourite to cop. On the numbers there's almost a ten per cent edge in our favour. Jasprit Bumrah shares top billing and although the pacer is a superb death bowler, his record is inferior to Kuldeep's. On strike rates in the last two years (29 v 25.9) he is behind and Kuldeep averages half a wicket more per innings in the study period. Yuz Chahal is always a fancy at 10/3 and his impressive record against Australia suggests he is the greatest threat. He has a strike rate of 21.5 in the series against them in 2017 and last year. Kuldeep topped the charts in the home contests though and with the best strike rate.